The five Tutta Bellas (Tuttas Bella?) specialize in certified Neapolitan pies: thin-’n’-blistery crust made with fresh ingredients, from the hammy prosciutto e rucola to the legendary pizza ensalata alla Tutta Bella (a pizza with a salad on top). 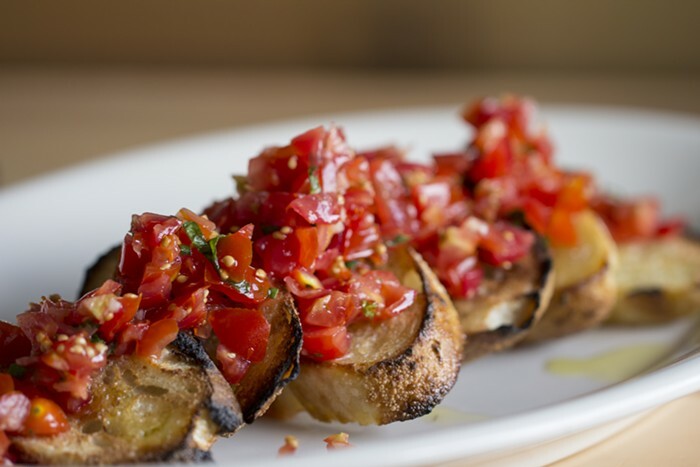 Happy Hour Daily 3-6 pm, 9 pm-close ($8 craft cocktails, $6.50 highball cocktails, $5-$6 wine pours, $4.50-$5 beer, $6-$8 antipasti and bruschetta, $7 10-inch pizzette).